November was a short month for me but we saw some wonderful things with amazing guests. 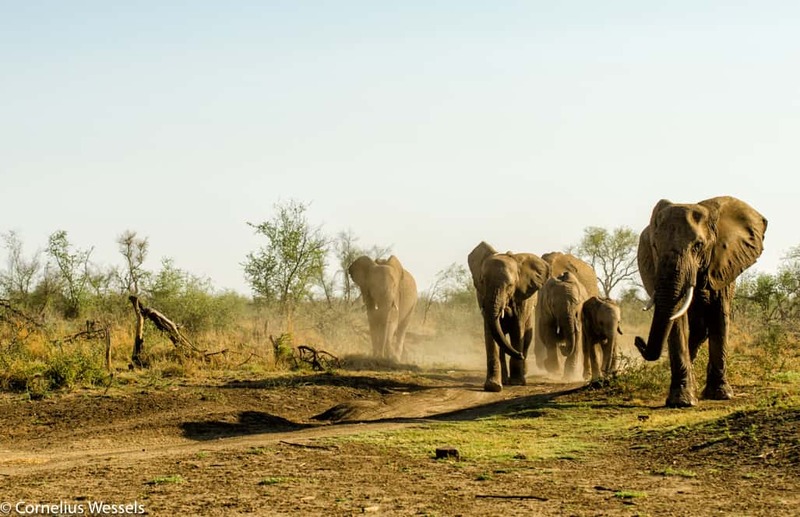 We have not had any real rain which had an impact on water levels, all of the natural waterhole are dry and those with solar pumps are barely keeping up. Some trees did push out green leaves while most of the grasses are still dormant. The eagerness of nature to grow is inspiring. 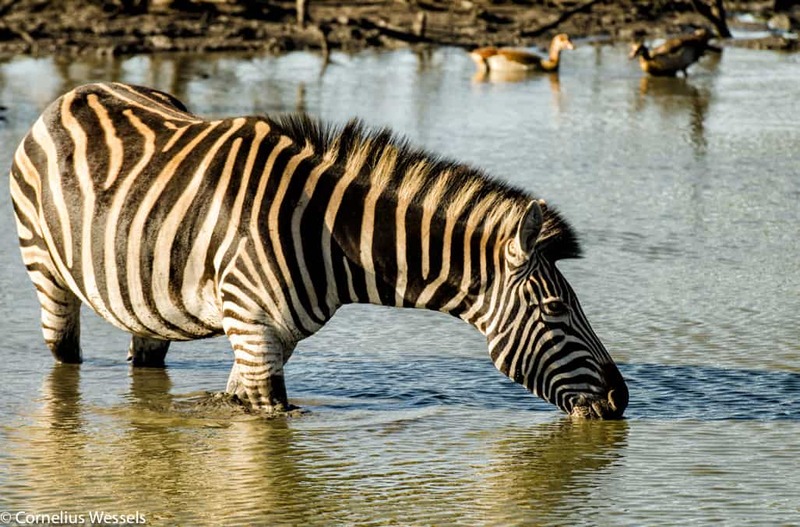 With no rain, the waterholes that do have water produce amazing interaction between species. 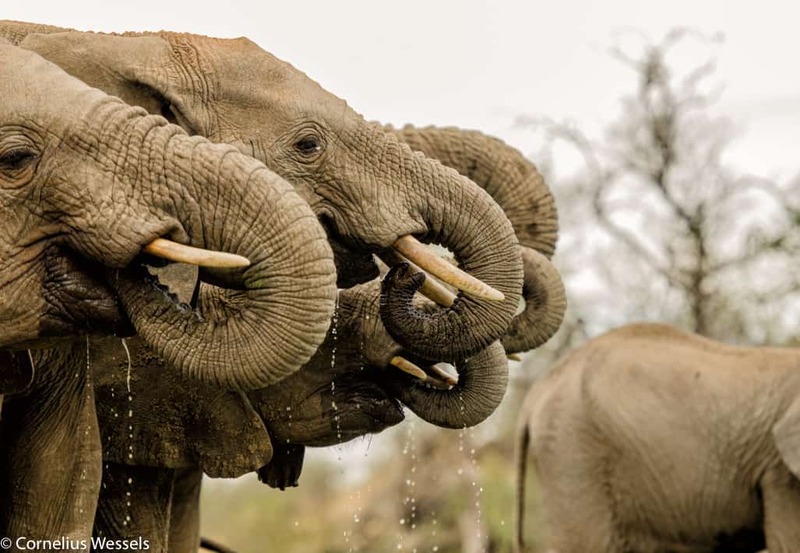 Elephants are bullies when it comes to water and they will try to chase most things away to have the water to themselves. 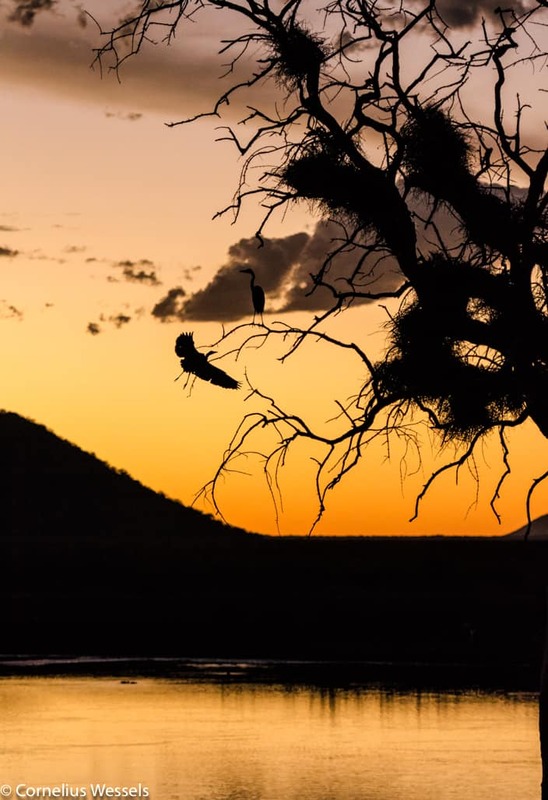 Even birds are chased from the waters edge by thirsty elephants. It was the first time in a while I had the opportunity to use the hide at the lodge and, oh my, does that change the way you see things. This new perspective of photography allows you to shoot from a different angle and to witness the interaction up close and personal. 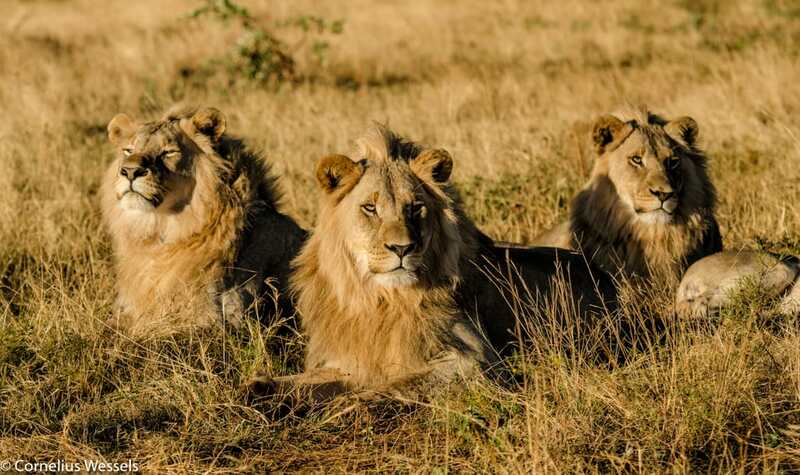 The lions from our southern pride did move further east. They did that because the northern males spent more time on the ridge bordering their southern territory. We did get to see them a few times with the Chimbro males that recovered well from their injuries they sustained in a fight with the northern boys. 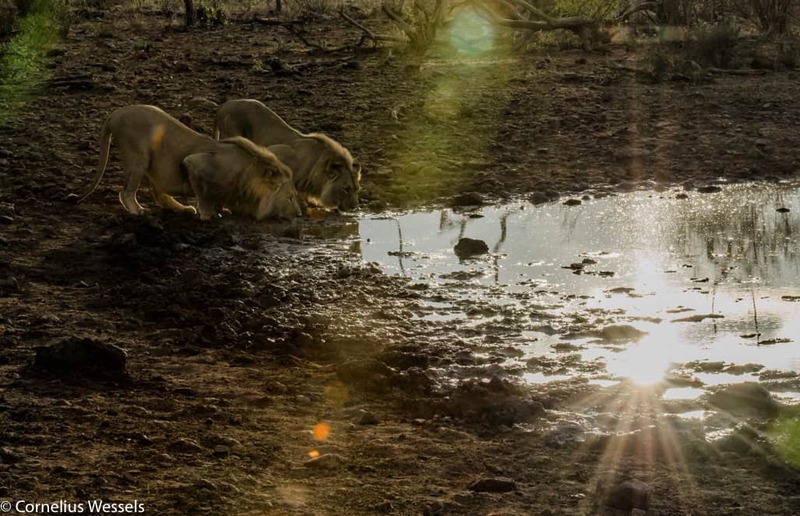 The Matlapa female lioness with her three boys the Mahiwa’s are back in the south for the time being. This is after all, were she was raised by the Mica female. She’s been gone for a good three years after the fathers of her three boys were chased out of the territory and she was scared the new males would kill the youngsters. She left to keep them safe and did an amazing job in teaching them to hunt and look after themselves. We never see her or the boys hungry, they always have full bellies. Munye, being a master of elusiveness, was not seen too often but we did have a glimpse of him. 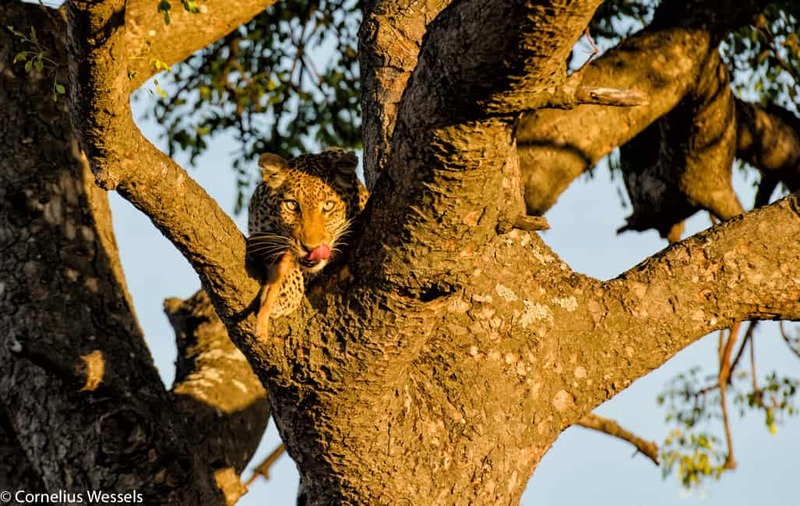 Tsala the local female leopard, was seen a few times. 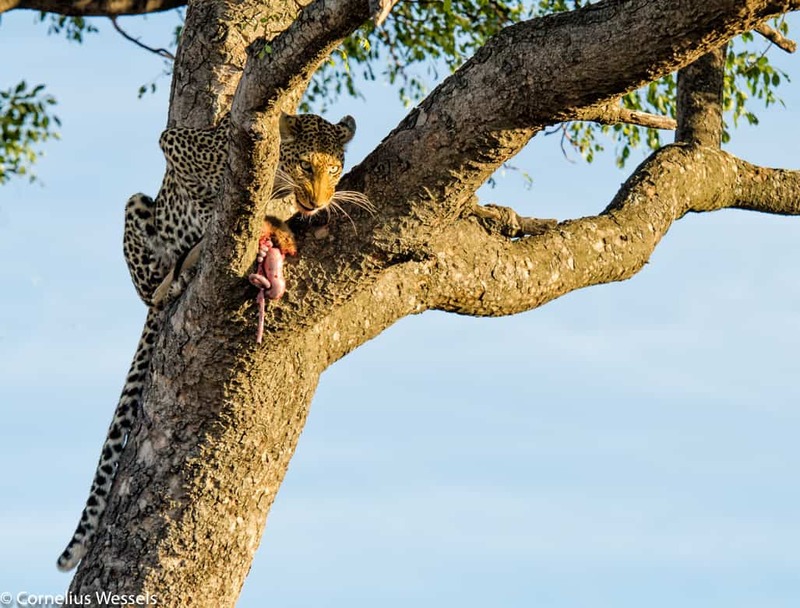 One morning after following the sound of a jackal in distress I found her in a big Marula tree eating on a young Caracal. Jip, a caracal. 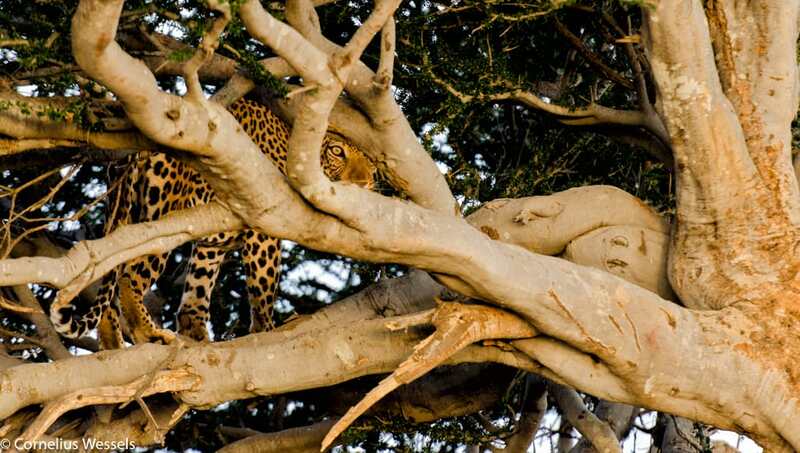 Leopards are extremely adaptable and can live off anything. The Wild dogs also made their appearance a few times on our side of the park. We saw 11 adults together, the only dogs in Madikwe for now. 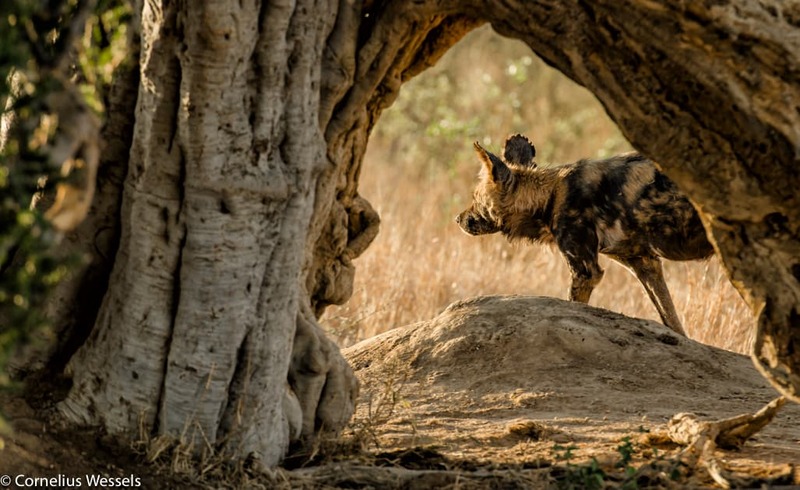 There are however, a strong possibility f0r more Wild dogs from a new blood line to come into the park. 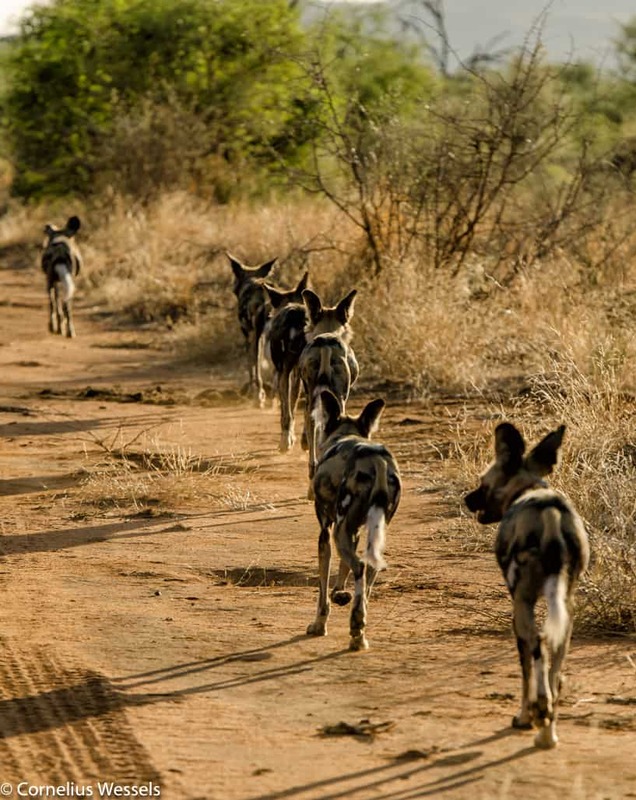 Exciting times ahead, hopefully the Wild dog population can recover and restore the Madikwe’s Wild dogs for what it is known for. 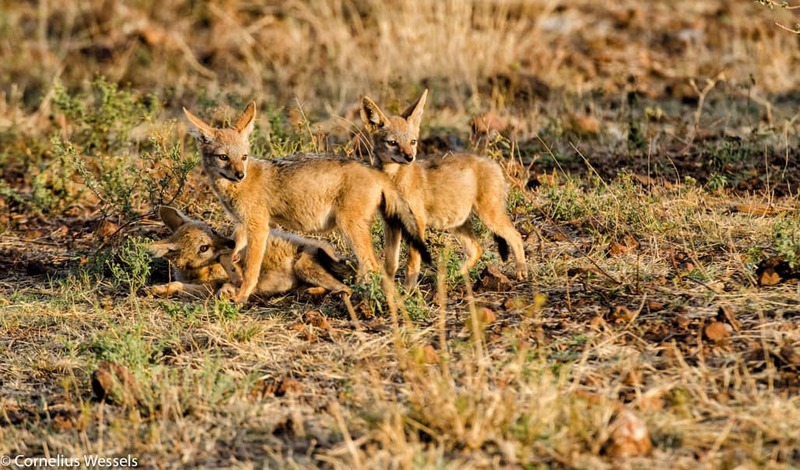 We did see the Black Backed Jackal pups. Later than usual, but on the airstrip there is a den with 3 pups. Early mornings are when they most active and over the past few weeks they became a lot more relaxed with the vehicles. For a short month we were very lucky with the amount we saw, sunrises and sunsets, and everything in between!! We hope to see you all again. Pragtige fotos Cornelius. Ons wens julle almal ‘n geseende nuwe jaar.